Fried chicken is so delicious that it almost doesn’t seem like it could actually exist. Think about it. You have the savory flavor of the chicken. That’s a good start! Then, if you know what you’re doing, that chicken is brined in buttermilk or any other liquid, usually with some additional seasoning overnight. Then, that chicken, which has no had the opportunity to bathe in pure flavor and get nice and tender, is thrown into a flour dredge that has even more seasoning in it, adding even more flavor. Then, it is deep-fried, which everyone knows immediately makes everything better. It comes out of that oil crispy, hot, and ready to serve with a drizzle of honey butter, some hot sauce, or even just on its own. Yeah, overall, fried chicken is almost pure magic. There are places that sell fried chicken that everyone knows. Popeye’s KFC, Chick-fil-A, but there’s one place that often gets shafted in the fried chicken conversation: Church’s. Church’s may not be as much of a household name as the other fried chicken joints, but it has a history all its own. Church’s is the kind of place that prides itself on its story. It even shares the full history of the company in its own website. Church’s is proud of its many accomplishments. 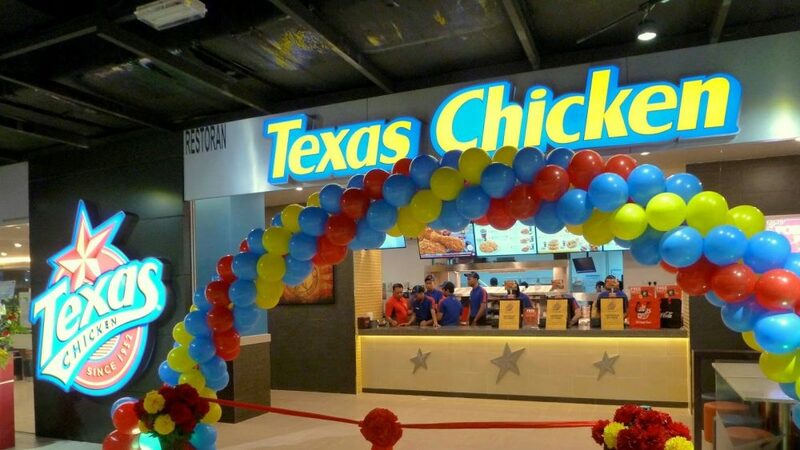 From its humble Texas roots, it has grown into a massive international chain, still selling the same delicious fried chicken it has always provided to its loyal customers. If you’re lucky enough to be near a Church’s you ought to try it out some time. Just make sure to get some of their famous sides, too! Otherwise, you’ll really be missing out. These are the top ten untold truths of Church’s Chicken. The 1950s were a tumultuous time in the world. Post-war America had a booming economy, people were buying houses, and the television was starting to become a standard item in those houses. Things were on the verge of change, politically and socially, and a lot of people felt like they weren’t ready for it yet. 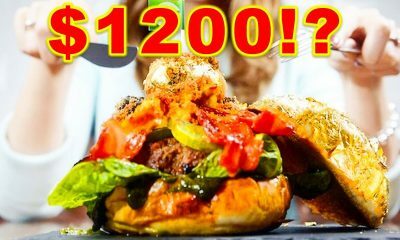 Fast food hadn’t yet become the thing we know today, but even that was about to change forever, as more restaurants started popping up everywhere and offering something different. One of those fast food places was Church’s Chicken. In 1952, founder George W. Church Sr. opened the first location in San Antonio, Texas. Back then, before the shorthand came into use, the restaurant was known as Church’s Fried Chicken To Go. Back then, you had to let people know that this was not a place to come and sit down. You rolled up in your Studebaker, placed your order, got your chicken, and rolled back to your house before I Love Lucy started. Things haven’t changed all that much in that regard since those old days of Church’s Fried Chicken To Go. People still want to roll up to the chicken place (only now it’s in, like, a Tesla or a Prius), grab their chicken, and get home before they miss the beginning of Grey’s anatomy. 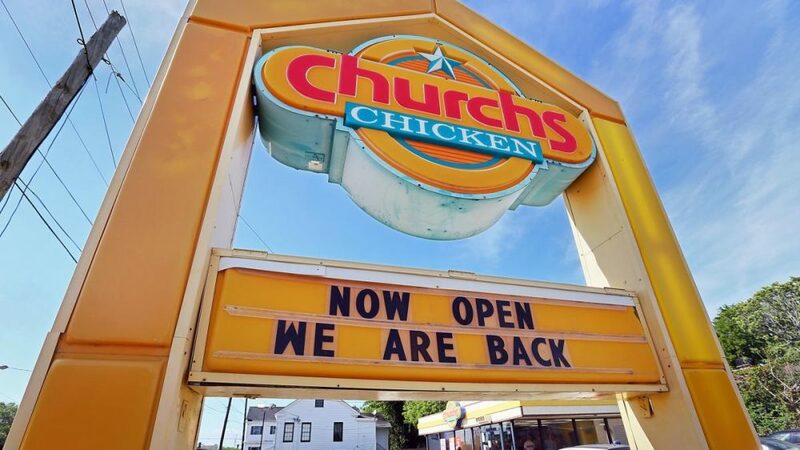 Church’s might have had humble origins, but it only grew from there and continued to do what it did best: sell quality fried chicken. There is a lot of history in Texas, even besides the fact that it’s where Church’s Chicken got its start. 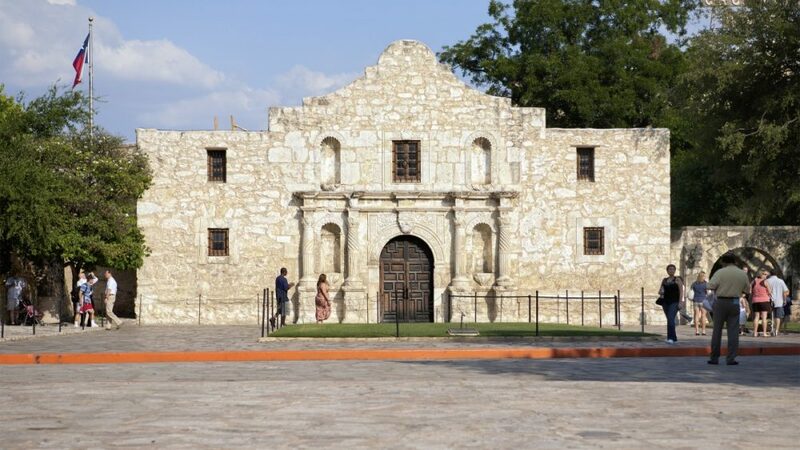 There are many major historical events that took place in the Lone Star state. One of the most famous of them all was the battle at the Alamo. While it was a major loss for Texas during the Texas Revolution, it is still remembered as the time a few brave soldiers stood up to an invading force, despite their significant loss. After that defeat, the Texan forces saw major recruitment and eventually won the revolution. The Alamo is still standing as a historical monument, and right across the street from it was the very first Church’s Chicken. George Church was obviously a savvy businessman, as he saw the opportunity to catch people who were visiting the monument and hopefully sell them some of his delicious fried chicken while they were taking it all in. It’s the kind of move that business leaders look at today and go “now that was some smart decision making!” Smart, indeed, as it probably helped Church’s to become a familiar name to Texans, and what better selling point could there be than “right across the street from the Alamo!” Church’s Chicken may not be the biggest name in fried chicken, but it certainly has a degree of history in its story that other fried chicken joints can’t hope to match. When it comes to fried chicken, your options are clear: you’ve got KFC, Popeye’s, and if you’re in the mood for a chicken sandwich, Chick-fil-A. All of these places have their good qualities, and all of them have things that might turn you off from them. However, they all offer something different from each other, which makes them stand out. Behind them all is Church’s, holding the title of the fourth largest chicken chain in the world. That might not sound that impressive, but if you think about how many places out there are selling chicken, then you must realize that being fourth in the world is actually quite a decent accomplishment. Imagine if you were the fourth richest person in the world. That would still make you extremely rich! If you were the fourth coolest person in the world, you would still get invited to all the best parties. If you were the fourth best musician or actor, you would get so much work it would make your head spin. That’s why Church’s is so great, really. Though it might not be a behemoth like KFC or Popeye’s or have the kind of brand recognition of Chick-fil-A, that doesn’t mean that they are failing or that they aren’t any good. All it means is that Church’s still has an opportunity to get even bigger and do even more with its products. After all, a little bit of healthy competition never hurt anyone. Businesses like to expand into other markets. That’s why places like McDonald’s and Burger King have spread themselves out all over the world and started selling their products on other continents. They know the value of brand recognition on a global scale. That’s why they keep going and reaching into other countries, serving dishes that incorporate the local flavors to make themselves a part of the local culture even more. That’s just the plain truth about making money and growing your company. Church’s knows this just the same as anyone else. They have expanded their business to not just 10, 15 or 20, but 25 different countries all over the world. 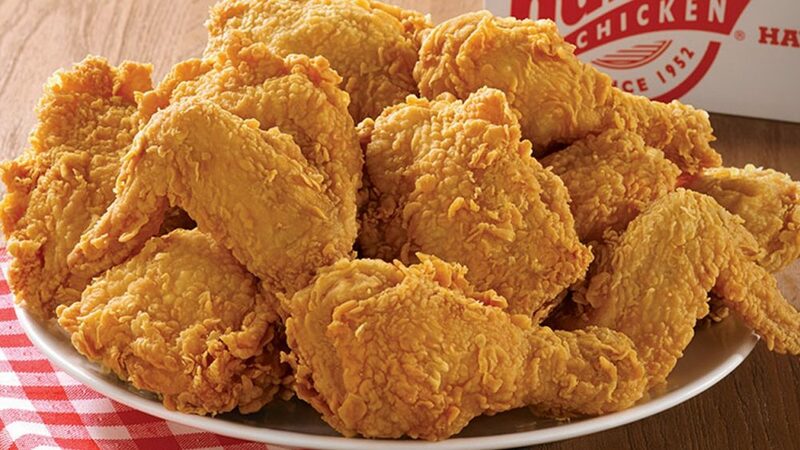 That’s right, Church’s Chicken currently has locations in Bahrain, Belarus, Bulgaria, Canada, Curaçao, Egypt, Georgia (Tbilisi), Guyana, Honduras, Indonesia, Iraq, Jordan, Kazakhstan, Kuwait, Laos (Vientiane), Malaysia, Mexico, New Zealand, Pakistan, Puerto Rico Russia, St. Kitts, Saint Lucia, Saudi Arabia, Singapore, Syria, Thailand, Trinidad and Tobago, Ukraine, the United Arab Emirates, Venezuela and Vietnam. It just goes to show that fried chicken is not just popular in America. All over the world, people love a good plate of chicken that is breaded, marinated, crispy, and juicy. After all, who wouldn’t love that? When you’re hungry, you have to admit that a good piece of fried chicken is pretty satisfying. Sometimes a restaurant will undergo changes to its usual image in order to appeal to a more international customer group. 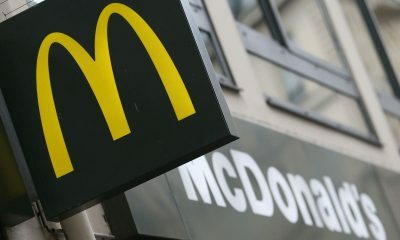 As mentioned above, McDonald’s and Burger King, as well as other fast food places that have expanded internationally, usually offer some local dishes that are not available anywhere else. They often incorporate the local cuisine in new and exciting ways to sort of give a spin to the restaurant’s usual collection of entrees, sides, and desserts. Church’s Chicken, however, has a unique problem. 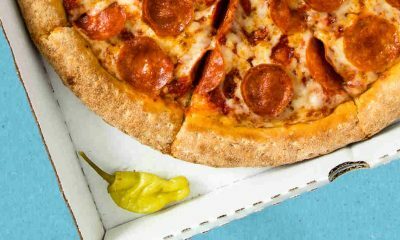 The name “Church’s,” though not denoting anything religious, could potentially be seen as religious outside of the United States. 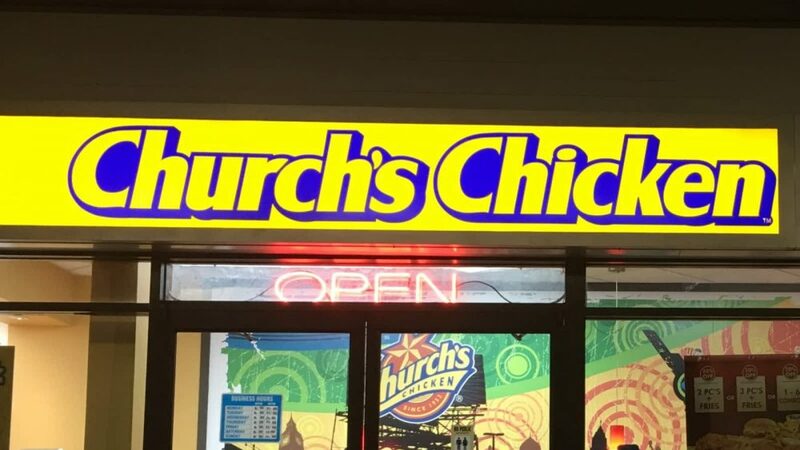 In order to curb any concern that this might offend people, Church’s goes by a different name in other countries: Texas Chicken. This actually isn’t a terrible idea, as it lets people know that what they are eating is an authentic American dish and that it hasn’t been altered or changed in any way. 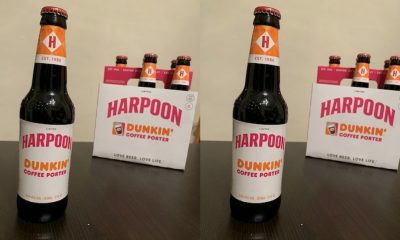 If anything, it’s an incredibly smart strategy that avoids controversy while also presenting a branding opportunity. 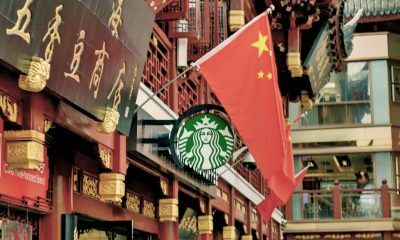 Making changes to your business is part of playing the game, and when a business has expanded internationally, it has to do its best to match the local culture. Church’s has done a great job of doing that, and its success is proof that it made the right decision to rebrand itself for the international market. Chess is the game of kings. Some version of it has existed for centuries. It has changed and been adapted over time, beginning with the Indian game chaturanga. it was then brought to Europe in the ninth century. The pieces were assigned their levels of power in 15th century Spain. The rules we know today were finally standardized in the 19th century. Chess is a game that requires deep thought, strategy, and cunning. It is also a game about anticipating your opponent’s next move. Chess is also a valuable teaching tool, allowing people to learn about strategy, history, hierarchy, and game theory. Church’s Chicken saw the value in Chess, which is why from 1979 to 1986, they sponsored the “grand prix” of chess tournaments in the United States. This was a valuable branding and advertising tool for Church’s. 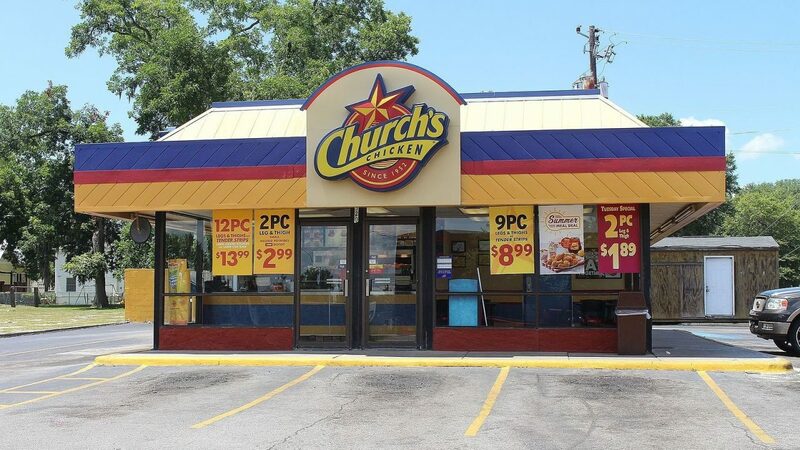 While other fast food locations were sponsoring sporting events and anything else they could put their name on, Church’s was devoting theirs to a more intellectual pursuit. 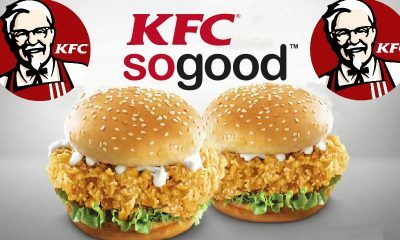 It just goes to show you that even fast food companies can believe in the value of expanding people’s minds. More fast food companies would do well to understand the value of sponsoring more academic competitions, especially today when there is so much attention put on kids learning math and science. 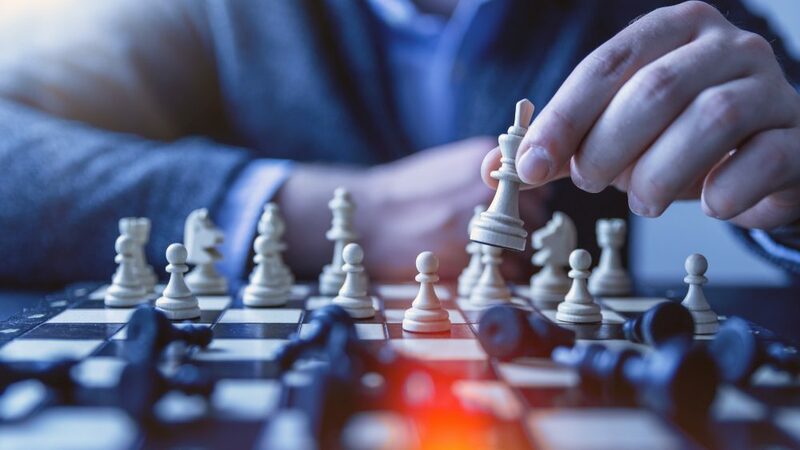 Church’s might not sponsor chess tournaments anymore, but it is a part of their history, and they are proud of what they contributed to the game’s status in the US. 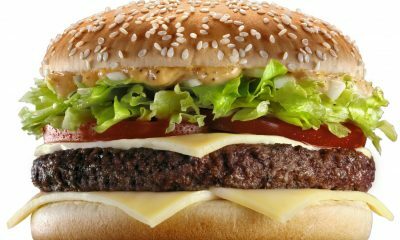 When we think of fast food side dishes, what’s the first thing to come to mind? Probably french fries, right? Well obviously! They are a staple of not just burger places, but also chicken places. Sure, you can get a side salad (or, if you find yourself at Wendy’s, a baked potato), but when it comes down to it, it’s those crispy, hot fried potato sticks that people coming back to most places. You wouldn’t even think that a place could get away with serving a side other than fries. Well, hold on just a minute, because we’re about to tell you something that might make you think twice about what kinds of sides a place can serve. When Church’s first opened in 1952, it didn’t serve any side dishes, but three years later, as they started to become more popular, they added a side dish option. It just wasn’t the one you would think. They served jalapeno peppers as a side dish! That’s right, to go with your hot crispy fried chicken, you could get an order of jalapeno peppers. Now that would make for a pretty spicy meal, but at the end of the day, it would be delicious! 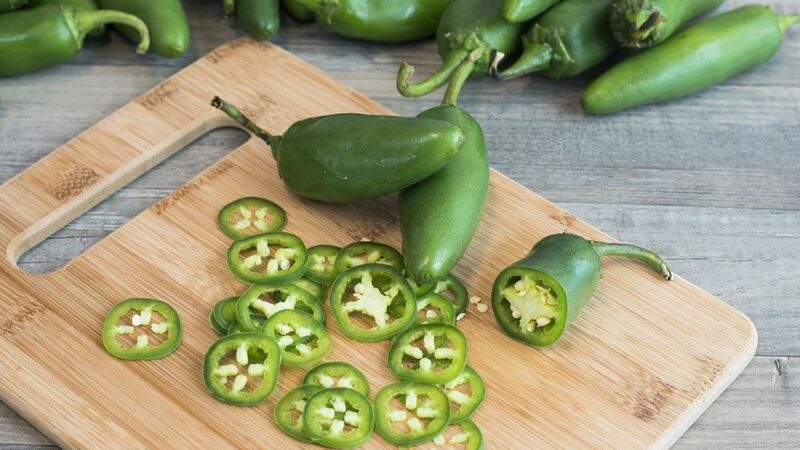 According to the Church’s website, the real secret to getting a side of jalapeno peppers is to squeeze the juice from them onto the chicken. This is apparently something that Church’s customers have been doing since the side dish was introduced back in the 1950s. When a company is starting to expand outside of the US, it has a lot of different options of where to go first. However, the most logical choice would be the countries that are right next to it: Mexico and Canada. 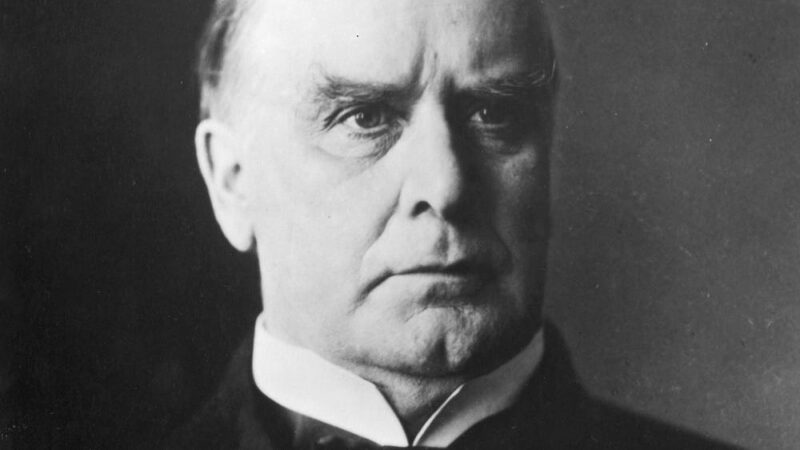 In fact, Canada has been a long-standing trade and business partner with the United States, and many American Businesses already operate in Canada, almost at the same rate as in the United States. 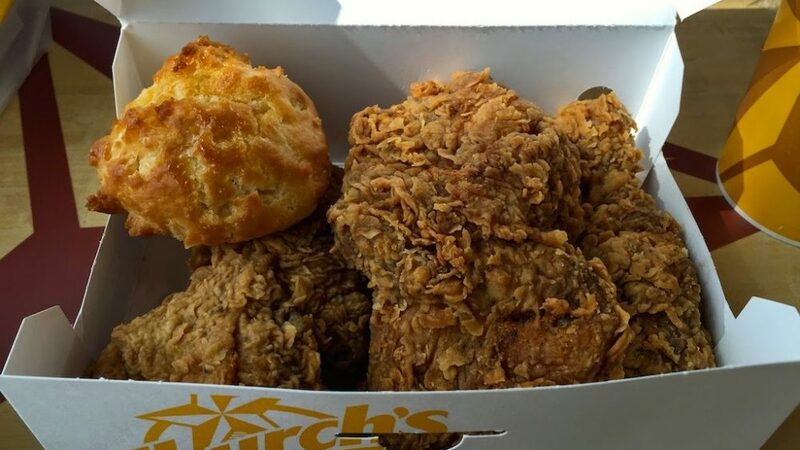 One of those businesses is Church’s chicken, whose first international location was opened in Vancouver, British Columbia in Canada in the 1970s. That was a big leap for the business, but it continued to grow and change and adapt to the marketplace. As we mentioned before, Church’s has locations in over 25 different countries in the world, and they don’t seem to want to stop their worldwide expansion efforts. Why would they? After all, a business needs to grow to stay profitable. Church’s opening their first location in Canada also says something else about the chain. It shows the world that Church’s is an American company that values its national relationship with the Great White North. Canada is a great place to spread out and sell fried chicken. After all, Canadians love it just as much as Americans, and they could always use more options other than just KFC and Popeye’s. Every fast food restaurant needs a mascot. In fact, every company needs a mascot, in a way. After all, people are endeared to something that seems friendly, real, and personified. McDonald’s has Ronald McDonald, Little Caesar’s has its Little Caesar, and KFC just went right ahead and used its larger than life founder, Colonel Sanders, as its mascot. Putting a face on the company helps people identify it better, and also allows for more marketing opportunities since you have a built-in character to use in ads. Church’s Chicken was no different than any of these other fast food places. They knew that having a cute, little character for people to identify with would help the company to grow and be more recognizable. Thus the invention of the Church’s mascot, Churchie, a rotund little chef man with a big smile, bowtie, and chef’s hat. 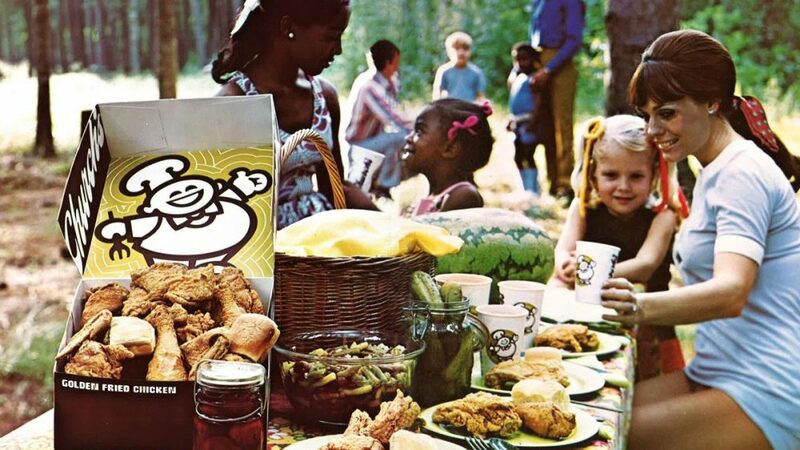 The sweet smiling face of this little cartoon was enough to endear the public to the company and helped Church’s to become a more recognizable name in the fast food fried chicken game. It just goes to show that having a friendly face, even if it’s one that you made up, be part of your company, can seriously help the company become a household name and grow in size. After all, if people know the character, then they know the food, and they will be more likely to visit a place that is familiar to them. 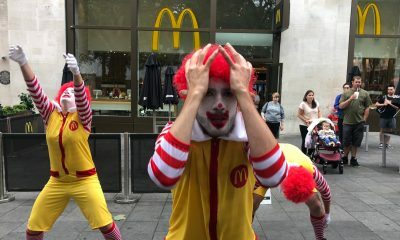 Fast food companies make huge profits. That’s just a fact of life. 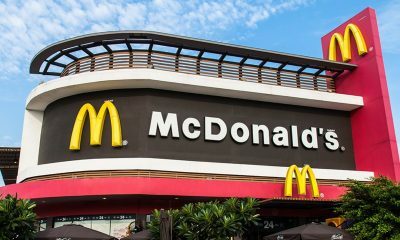 Even though it’s not good for them, people continue to flock to McDonald’s, KFC, and Taco Bell in droves every day to get their fix of carbs, protein, and MSG. Since these companies make so much money, they have to do something to help with all of the taxes they would have to pay on it. Luckily, they usually will follow their hearts and at least give some of the money to charity. Everybody benefits from it, and it puts a little bit of good back into the world. Church’s Chicken is no different. They run their own charitable program which does great work across the United States. The program distributes scholarships to high school students in order to help them pay for college. The program is known as the Church’s Scholars Program (now in its fourth year), and it has distributed over $200,000 as part of the 2018 school year. The scholarship money can be used toward college, university, or trade schools. It just goes to show that even big companies can give back to their communities in real ways. 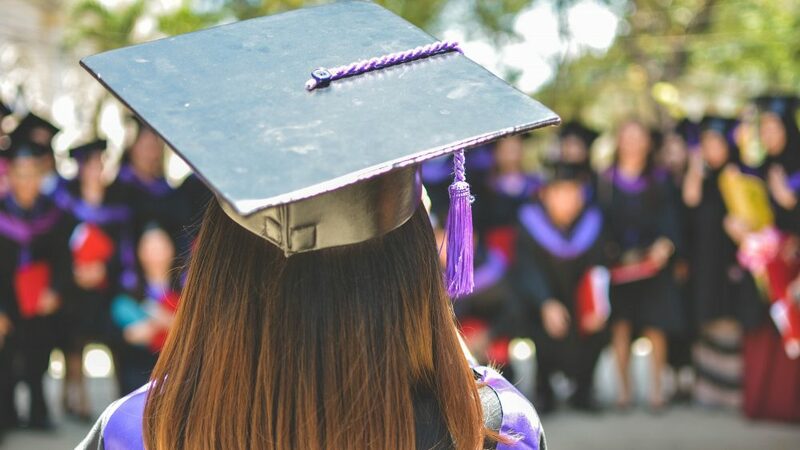 These kids, who have worked hard to achieve something great and make themselves known now have a little financial boost going into the next phase of their education. They have Church’s Chicken to thank for that.